The Pfaffenwinkel is a part of southwestern Bavaria that is famous for its religious buildings and history. The name itself refers to the local dialect for priests ("Pfaffen") - in other words, the "priests' corner". 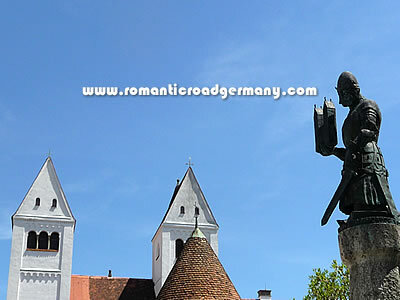 As its name suggests, there are many pilgrimage churches and monasteries in the small villages and hilly countryside that make up the area - and the Romantic Road passes directly through this area via the towns of Schongau and Peiting and the villages of Rottenbuch, Wildsteig and Steingaden.